Taiwan Semiconductor Manufacturing Company will begin volume production on Apple's A11 chip in April, with a production capacity of 50 million units of the chip aimed to be completed before July. The A11 chip is slated to power the new iPhone lineup launching later in 2017, including what is believed to be iterative "iPhone 7s" and "iPhone 7s Plus" updates, along with the specced-out "iPhone 8." The A11 chips will be built on a 10-nanometer FinFET manufacturing process and are packed with a "wafer-level integrated fan-out" technology, according to a report by the Economic Daily News (via DigiTimes). For the iPhone 7 and iPhone 7 Plus, TSMC currently manufactures the A10 chip on a 16nm FinFET process. The jump to 10nm is tipped to yield chips that are more power efficient, and subsequently provide end user experiences that are snappier. Before the end of 2017, TSMC is expected to "maintain a capacity" for producing a total of 100 million of Apple's A11 chips. Taiwan Semiconductor Manufacturing Company (TSMC) will begin volume production of Apple's A11 chips in April and will prepare a capacity for production of 50 million units of the chip before July, according to a Chinese-language Economic Daily News (EDN) report. 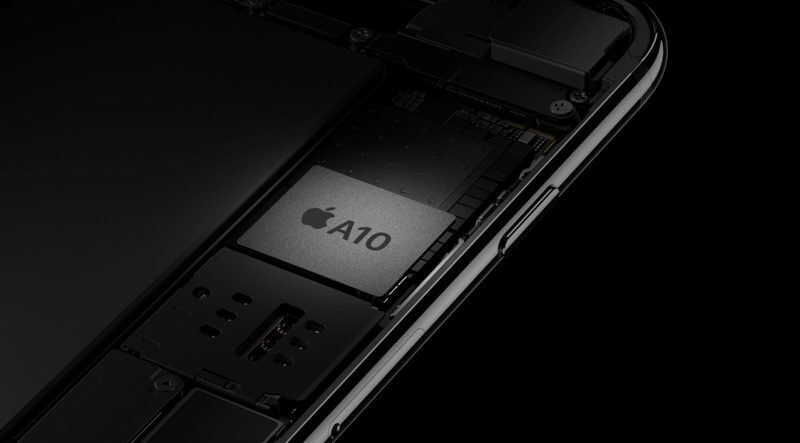 The A11 chips, which will power the upcoming iPhone series slated for launch in September 2017, will be built on a 10 nm FinFET process and packed with a wafer-level integrated fan-out (InFO) packaging technology, said the report. Last summer it was confirmed that TSMC would become the sole supplier of the A11 chip, with the design of the chip reportedly being completed around that time as well. The supplier was also the sole maker of the A10 chip in the iPhone 7 and 7 Plus, which ultimately helped lead TSMC to revenue growth towards the end of last year. TSMC company spokesperson Michael Kramer earlier this month said that an official decision regarding the creation of a major production plant in the United States would now be held off until 2018. Kramer said the company would lose much of its "flexibility" if it moved production stateside, but if it does end up building a U.S. plant for the production of Apple chips it could become an investment worth upwards of $16 billion. Samsung are very talented and efficient when it comes to their chip fab manufacturing process. Although I personally don't respect Samsung as a company, I wouldn't wish Apple to move to a different manufacturer if it meant quality suffered as a result. No Samsung? I guess you won't be getting the rumored OLED iPhone 8.:( Samsung is one of the best component makers there is. Don't let your irrationality get in the way of getting the best product possible. On topic: Since TSMC is ramping up production early, do we think Apple can push their other component makers to do the same so we can avoid the forever annual "launch shortage"? It would be really cool if these early chips were going to be put into a new Ipad Pro model. I hope they include more ram. I want to have more windows open. Holy crap we are getting close to Moore's law. I feel like these chips will keep getting smaller for a few years, then a little thicker with newer battery tech helping to cover the increased power budget, and then we'll be forced to move on to quantum computing. I hope Apple is doing research on this. They have one of the best chip design teams in the world, but that will be completely irrelevant in 10 years. We know that Google has a quantum team. It would be pretty wise for people to research and invest in quantum computing companies. Unintentional, but I'll take it! However I have no doubt that TSMC will do a fabulous job. That's crazy. I remember reading somewhere that 1nm is the limit for silicon, so my 10 year prediction is probably pretty close. We'll need to figure out something else, whether it be graphene (the magical fantasy material), quantum or whatever. You can't just start splitting atoms. I mean, you could, but it won't end well. Time crystals are an interesting concept that may push quantum computing forward in the future.